Mekong Youth Assembly was invited to participate in the Pre-APFSD Youth Forum (Pre-Asia Pacific Forum Sustainable Development Youth Forum) which took place 22th – 25th March 2017, before the annual ministerial convening of the UN member states in the Asia- Pacific Region to review the implementation of SDG-2030. 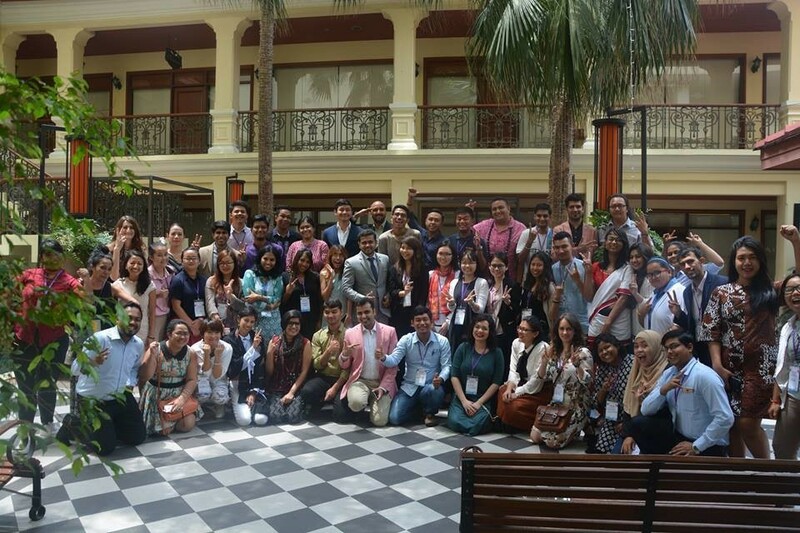 This APFSD Youth Forum was co-organized by The Asian Pacific Resource and Research Centre for Women (ARROW) and Youth Lead who are the youth constituency of AP-RCEM and Co-chair of Asia Pacific Regional CSO Engagement Mechanism (APRCEM). 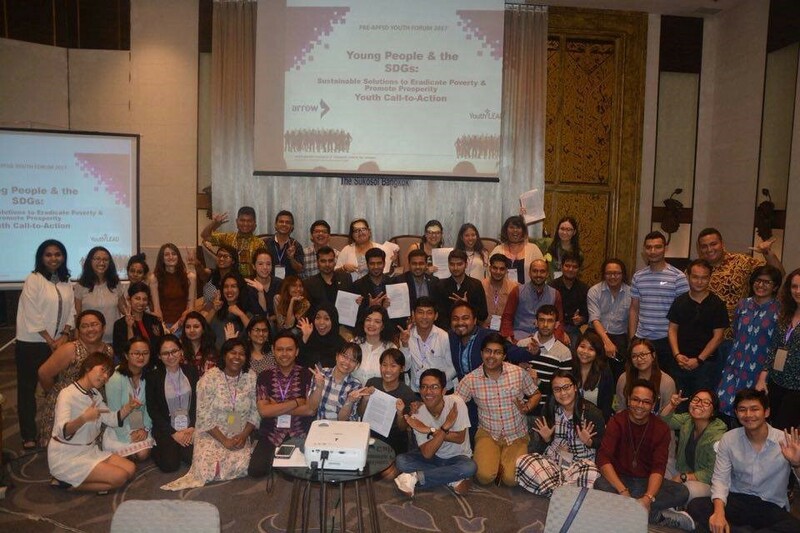 Young people from the region (Asia Pacific) had provided concrete youth-focused recommendations to the APFSD outcome document, regional implementation, follow up and review of the 2030 Agenda. The forum focuses on youth engagement with 17 Goals, with a special focus on how to engage youth and understand how youth play roles in the implementation and monitoring of the 17 SDGs. During the forum, Mekong Youth Assembly was invited to speak on a panelist discussion on the subject of ‘how climate change effects young people in the region’, which related to SDG13 and overall with other SDG. During a speech, a representative of Mekong Youth Assembly highlighted the role of development projects such as coal power plants and especially hydropower dams in contributing to emissions of Green House gases (CO2, CH4, N2O) that cause climate change and the subsequent effect on people, especially young people children whose lives rely on the local environment of the Mekong river. In the forum, she mentioned that the concept of sustainable hydropower dams does not exist because they displace thousands of people, especially indigenous communities including young people and children from their homelands, resulting in poverty and malnutrition. Deemer and Harrison co-author and associate professor in the WSU Vancouver School of the Environment studied that “while reservoirs are often thought of as ‘green’ or carbon neutral sources of energy, a growing body of work has documented their role as greenhouse gas sources.” Moreover, hydropower dams threaten the lives of people and biodiversity both upstream and downstream. Recently a group of scientists studying the Mekong urged the members of Mekong River Commission (MRC) that hydropower dams are not sustainable, not clean and not a green energy technology. Reservoirs of hydropower are a constant source of GHG emissions (CO2, CH4, N2O) that contribute to climate change. The dams block the migration of fish which puts the food security of 60 million people at risk. The lives of these people are dependent upon fish as a source of protein, with young children at particular risk of malnourishment. More and more young people from farming communities are forced to leave the Delta because of sinking lands ruined by sanitization; is impacting the economies of Vietnam and Cambodia by loss of fisheries & productive lands, amongst other issues. In the discussion, a representative of Mekong Youth Assembly also emphasized how young people in the region can already play a critical role in combating climate change and called for climate justice now. The discussion on climate change should not only be focussed on impacts from environmental disasters but should also include the impact of GHG producing mega projects (big factories, land concession, coal/mining power plants and mega hydropower dams). After the discussion, youths made recommendations for a need from government and the private sector to take accountability for how their actions impact climate change, environmental degradation, poverty and human rights violations. A need for full transparency in this process was expressed. At the result, 50 young activists from Asia Pacific region developed “Youth Call to Action for APFSD2017’. 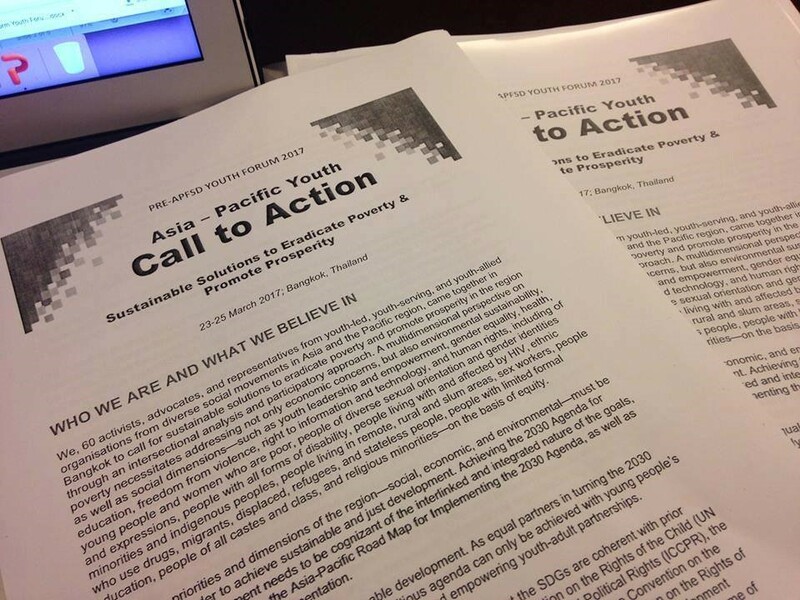 This action document will be used for advocacy during the CSO Forum for APFSD 2017, official APFSD 2017 deliberations and outcome documents to fully integrate young people’s issues in the APFSD. A call for regional, sustainable solutions to eradicate poverty and promote prosperity through an intersectional analysis and participatory approach was made. Arrow ‘Pre-APFSD Youth Forum 2017: Asia-Pacific Youth Call to Action on Sustainable Solutions to Eradicate Poverty and Promote Prosperity’. Last modified March 30, 2017. Washington New Post ‘Reservoirs are underappreciated source of greenhouse gases’, Last modified March 30, 2017. Scienctists for the Mekong ‘Open letter to Mekong River Commission’, Last modified March 30, 2017.